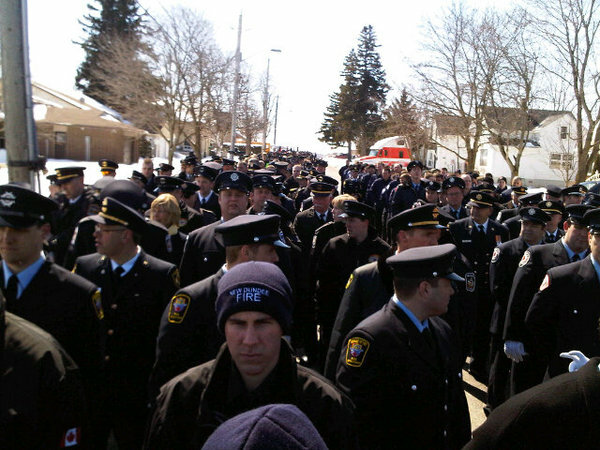 This entry was posted on March 24, 2011 at 11:01 pm and is filed under People with tags Band of Brothers, Dalton McGuinty, Firefighters, Firefighting Community, Funeral, Ken Rae, Listowel, Listowel Fire, Listowel Memorial Arena, March 17, Ontario, Ray Walter, St. Patrick's Day. You can follow any responses to this entry through the RSS 2.0 feed. You can leave a response, or trackback from your own site. 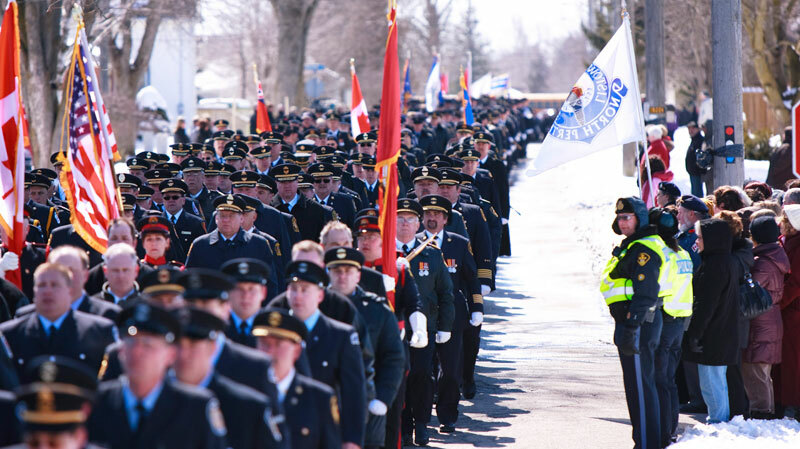 Amen Jordan, it was amazing to see the community and the firefighters come together for everyone in town that day, it definetly sent a chill thoughout your whole core!! To all the volunteer firefighters!!! Amen, well said Boot. The Band is strong.